Hijab Is Not a Binary, so Why Do We Treat It as Such? At the age of thirteen, I took one of the most profound decisions of my life: I grabbed one of my mom’s old cotton scarves, found a couple of safety pins, and went outside with my hijab. Prior to that moment, I had heard stories – some practical and some extraneous – of how big of a responsibility wearing the hijab was, and how many things I wouldn’t be able to do anymore. Nonetheless, I found the courage to begin wearing my hijab that day. I stopped viewing it in terms of what others said it was, and decided to develop my own relationship with it. 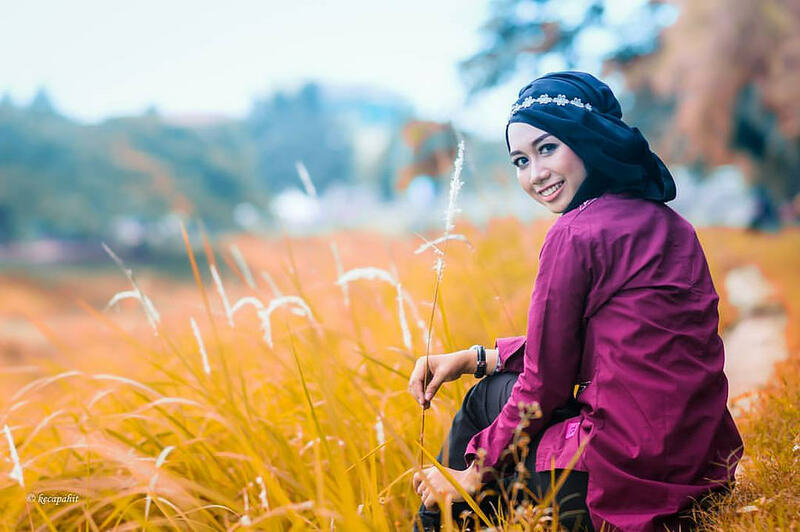 Like many other aspects of faith, the hijab is a journey: there are highs and lows, but ultimately, it’s a part of your distinct pathway to becoming closer to God. In the first couple of years of wearing the hijab, that’s exactly what it felt as if I was doing – going on a journey to defining myself and my relationship with God. Much of the ease that came with wearing the hijab in my early stages was the fact that I was given the freedom to grow with it. I learned, explored, experimented, and reflected. My understanding of modesty and its relationship to the hijab began to show in everything, from my changing wardrobe, to the way I interacted with people. Every step, or misstep, I took throughout that process brought me closer to where, and who I needed to be. As I grew older, however, the tables slowly began to turn. What was an individual form of worship slowly transformed into a public forum. Strangers who I had no relationship with became comfortable debating what was on my body. Men and women alike took their perceptions of my outer display of faith as an invitation to judge my inner faith. The concept of improving and striving seemed to absent from everyone’s vocabulary, while empathy and compassion seemed to be absent from everyone’s hearts. The hijab became less about the concept of a journey, and more about the concept of a destination: either you wear the hijab in its “quintessential” form, or you don’t wear it at all. As I began to speak with friends, seek advice from mentors, and even read the cold-hearted comments on the pages of modest fashion influencers, I found that this perceived binary was not a figment of my imagination, but a reality that women were being forced into. Somewhere along the lines, the growth I was allowed as a 13-year-old hijabi was deemed unacceptable. Somewhere along the lines, the hijab became an unyielding binary. There are many dangers to viewing the hijab as a binary, the greatest of which being that it creates an all-or-nothing view of faith. Everyone should strive to do good, but not in a way that dismisses any action short of perfection. No one would dare suggest that you make every single prayer on time, or don’t pray at all, nor would they suggest that you read Quran with perfect tajweed, or don’t read at all. This type of mindset, however, has crept into the discourse surrounding hijab. Instead of encouraging women to wear it, it does the exact opposite. Striving for unwavering perfection in any aspect of faith, instead of striving for your best, is a sure-fire way to set oneself up for disappointment. Everyone experiences highs and lows, whether it deals with the hijab or another practice of faith. Everyone also has a part of faith that they struggle with. If that struggle is the hijab, and there is barakah in striving to do the right thing, what good does it do someone to tell them to completely give up on it? The religion (of Islam) is easy, and who makes the religion a rigor, it will overpower him. So, follow a middle course (in worship); if you can not do this, do something near to it and give glad tidings and seek help (of Allah) at morn and at dusk and some part of night (Al-Bukhari). Wearing the hijab, or practicing any other part of Islam, is not meant to be difficult nor burdensome. However, when we view it through the lens of rigid societal pressures and impose strict boundaries of what it is, and isn’t, it not only becomes burdensome, but a source of anxiety. One of the greatest struggles I’ve faced in my own journey of wearing the hijab has been to refrain from answering to other people, and making sure I’m only answering to Allah swt. Part of this struggle is because the hijab is a readily-viewable practice of faith. Not only does its public nature open the door to unwarranted advice and commentary, but it also reduces the hijab to a purely physical concept. More often than not, the hijab is only spoken about in terms of the headscarf. In addition, focus is placed on physical appearance, and what others perceive of you at any given time. This type of thinking is unfortunate, because although it is not always viewed as such, the hijab is an entire code of conduct. It is not limited to dress, but extends to the way you speak, your level of humility, how you consume, how you spend, and your treatment of others. It’s more than possible to have a hijab on your head, but lack one on your tongue, heart, or any other part of your body. Altogether, the issues resulting from the hijab binary reveal a lack of mercy – mercy upon ourselves and mercy for others. Some of us are blessed with situations and upbringings that make the hijab a relatively easy thing to practice. However, the reality is that many others don’t necessarily have a straightforward journey, and instead of shaming them into quitting the hijab altogether, it would be more beneficial to show support, and make du’a that the struggles they’re having are alleviated. After all, for men and women alike, the first step of truly observing the hijab is to wear it on your heart, as hearts that do so are humble, modest, and sound. Once you have a hijab over your heart, it begins to show in every aspect of your being – especially how you empathize with the struggles of others. Ten years later, my own understanding of the hijab and modesty has traveled a long way, and is still unfolding. Nothing, however, has made my faith, and my observance of the hijab stronger than making it mine, and mine alone. There isn’t a one-size-fits-all model for modesty, the hijab, or how our faith develops over time. Headscarf or no headscarf, inside or outside the binary, the hijab will always be a part of me. Here’s hoping that the hijabis, turbanistas, part-time hijabis, non-hijabis, and everyone in-between will find a path where their observance of the hijab is their own too.